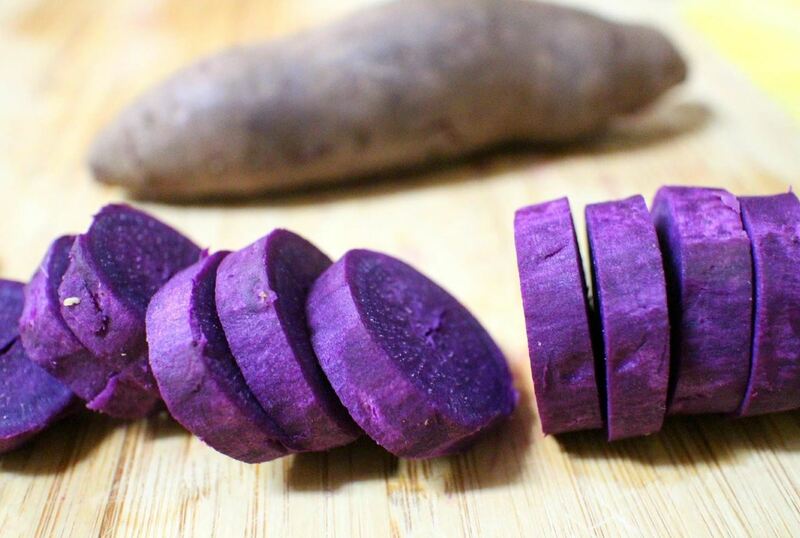 While there is often confusion between sweet potatoes and true yams, the ube is most definitively a yam, and its sweet flavor is a most welcome addition to a variety of foods. According to Botanical Online, the origin of the ube—or dioscorea alata—is somewhat murky. Since there are over 600 species of yam, and many of them are hybrids, figuring out exactly where one yam got its start is difficult. It is believed that ube was first cultivated in Asia and then spread to Africa, from where it was first transported to the Americas as part of the slave trade. 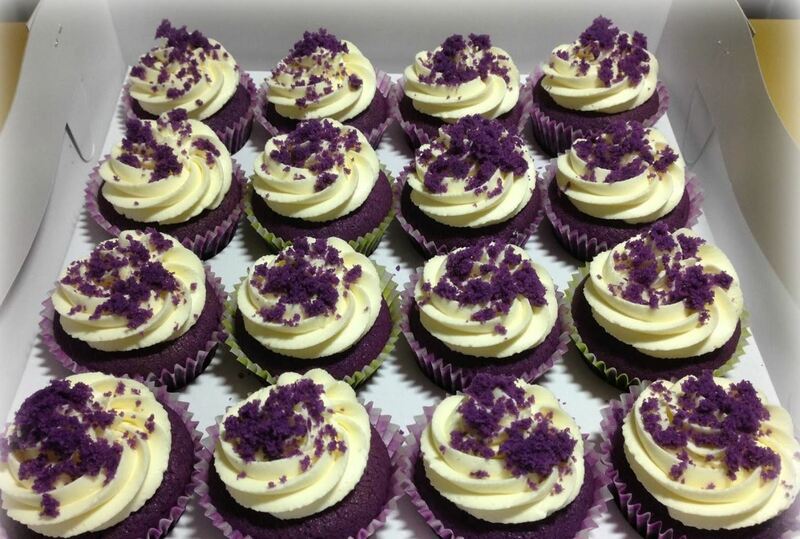 Note: Ube is the name of this tuber in Tagalog, or the Philippine language. Many variations of this name exist, from ubi (Malay) to uhi (Hawaiian); because it is a common vegetable in many other parts of the world, it has a long list of common names. For the purpose of this article, however, I will be using its name in Tagalog. West Africa is currently the greatest producer of ube, but it also grows prevalently in other tropical locales such as the Caribbean, Pacific islands, and southeast Asia. It's an invasive species in parts of the southern U.S., too, and can be found at some farmers' markets. 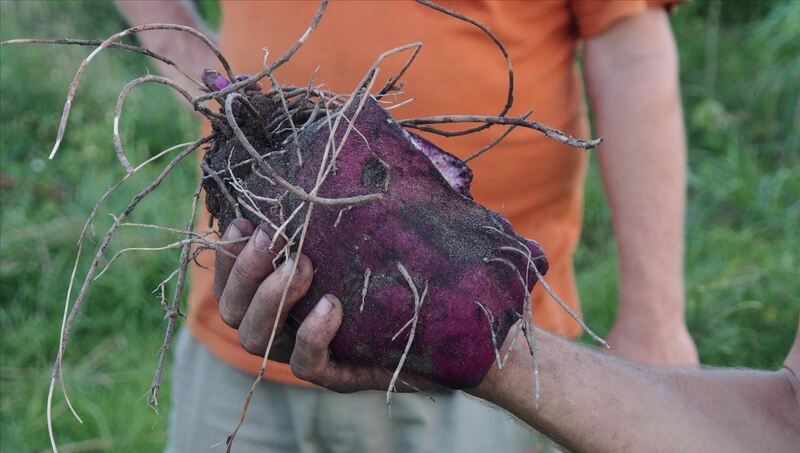 The ube is a large, purple tuber with big green leaves that sometimes have purple veins running through them, echoing the color of their root. Like most tubers, ube are full of potassium, fiber, and complex carbohydrates. They also are rich in Vitamins B and C, the latter of which can prevent scurvy; this may explain their popularity with 19th century sailors who visited Hawaii. The gemlike color of the ube is due to the presence of anthocyanins, pigments that produce red, blue, and purple coloration in plants. 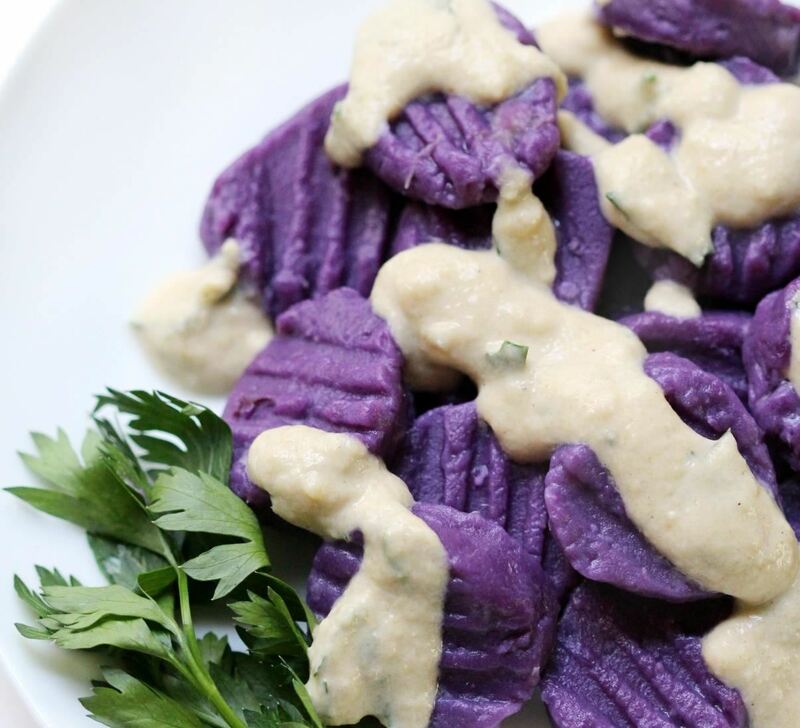 While starchy, "regular" purple potatoes also contain this antioxidant, they are not actually related to the ube and do not retain their color to the same degree when cooked. 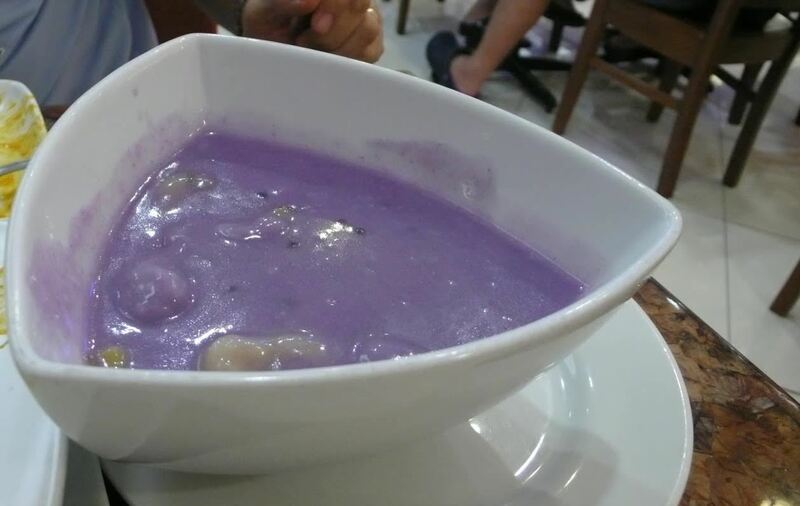 While there are savory preparations that use ube, it is most frequently a component of desserts and other sweet dishes. 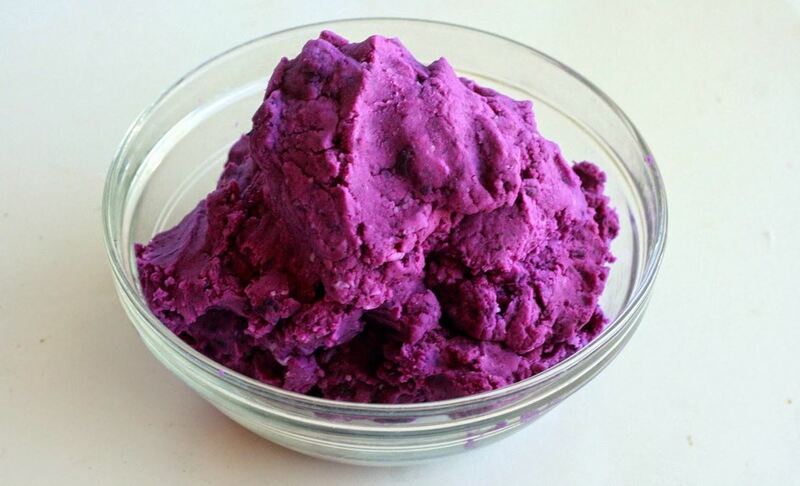 The base of many ube-based Filipino desserts is called halaya, a Filipino jam that is comprised of boiled, mashed, and sweetened ube. This video from PagkaingPinoyTV demonstrates how to prepare halaya (the subtitles are an adequate guide, though the audio is not all English). Purple is my daughter's favorite color, and she has been making her own purple birthday cakes using artificial dyes for years. 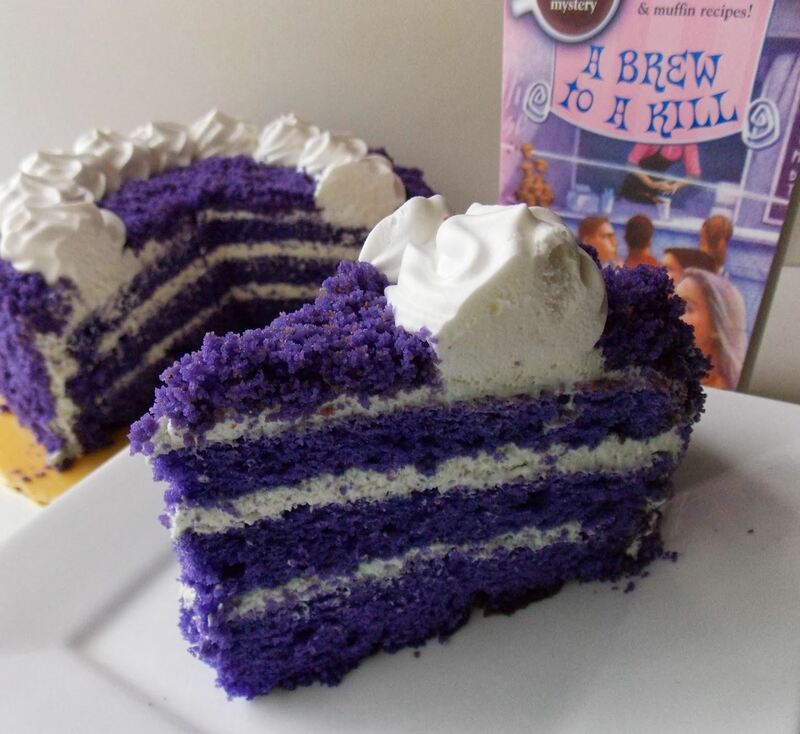 Maybe this year I can encourage her to try making an ube macapuno cake, such as the one featured in Cleo Coyle's novel A Brew to a Kill. Yes, of course cupcakes are just smaller cakes... but these unique creations from Corinne at Heart of Mary are topped with an airy whipped cream frosting. She even crumbles a bit of an additional cupcake to top off each one so that the eye-catching purple color is immediately visible. These lovely little morsels of purple perfection combine both ube jam and ube flavoring for a double-ube whammy. According to the recipe author, they taste great fresh out of the oven—but have an even better taste and texture after a few days. Fun fact: a photo of ube ice cream was the inspiration for this entire article. I just had to know what natural ingredient could produce such a supernaturally gorgeous shade of Barney purple! 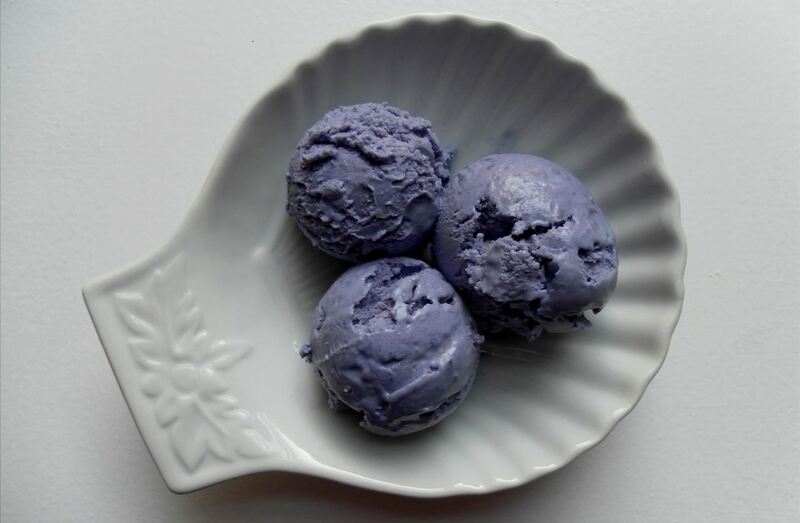 While ube ice cream is available at many Asian grocery stores, you can also make it at home if you can find these purple tubers in the store. Lest you think ube is only for desserts, I also dug up some non-sweet ways to cook it that are also quite delicious. This eye-popping soup from the appropriately named Twisted Chef blog is a riff on traditional Thai tom yum; in addition to ube, it contains ginger-like galangal, coconut milk, tom yum paste, and lemongrass. Sweet potato gnocchi have been a popular offering at upscale gastropubs and innovative Italian eateries for some time now, but they are generally made with the orange potato varietal (which we mistakenly call 'yams' when serving them as a Thanksgiving side).Rebecca of Strength and Sunshine turned her celiac disease into creativity in the kitchen with these gluten-free and almost-too-beautiful-to-eat Purple Sweet Potato Gnocchi with Tahini Parsley Sauce. It should be noted that these gorgeous gems were made with Stokes Sweet Potatoes from Freida's Specialty Produce; they would make a great substitute- particularly in savory dishes- when ube is not available. It's understandable to be somewhat put off by the nearly neon color of the ube and reticent to incorporate it as a regular part of your diet. 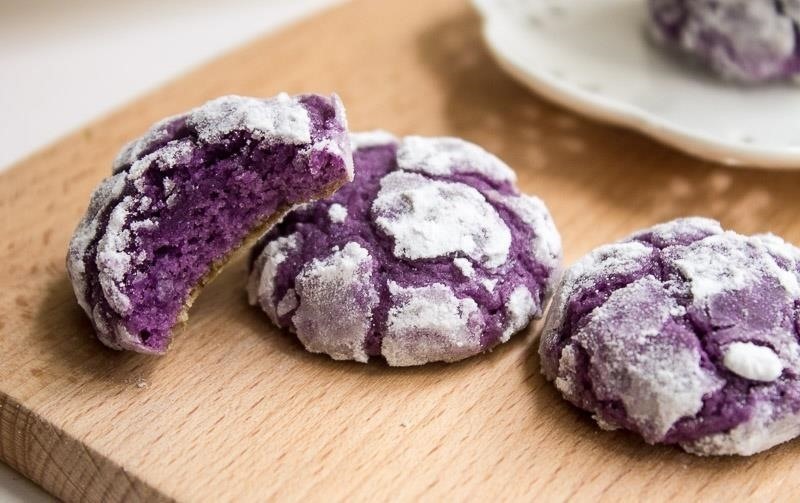 But if you are baking and want to add a blaze of color and a unique, sweet flavor to your cakes, cookies, and other baked goods, give ube a try—and you, too, can be part of the purple eater people!